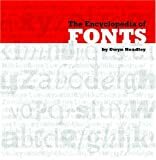 This lovely, well-written book is concerned foremost with creating beautiful typography and is essential for professionals who regularly work with typographic designs. Author Robert Bringhurst writes about designing with the correct typeface; striving for rhythm, proportion, and harmony; choosing and combining type; designing pages; using section heads, subheads, footnotes, and tables; applying kerning and other type adjustments to improve legibility; and adding special characters, including punctuation and diacritical marks. With its attractive contemporary styling and unbeatable price, this invaluable guide to more than 10,000 fonts and computer typefaces is an essential purchase for graphic designers. The world of type has undergone massive changes in the past few years, allowing designers to order, pay for, and download a font in just a few minutes; the challenge is to select the right type beforehand, and that’s where this huge encyclopedia is a boon. With fonts ranging from Arabic to Bitstream to Teluga, it offers unrivaled inspiration to those who work with type everyday. It is divided into three sections - letter, text, grid - each accompanied by an essay explaining key concepts, and then a set of practical demonstrations illustrating that material. The lessons of Thinking with Type are applicable to typographic design wherever it is practiced: printed materials of all kinds, Web sites, television screens. A companion Web site, will provide examples of design on screen, and provide other information (lesson plans, exercises) for readers and teaching professionals. Thinking with Type is a state-of-the-art pedagogical tool, that will be essential reading for students, teachers, and anyone else who wishes to improve or brush on their design skills. Design expert Jim Krause, author of the best-selling Index series, returns with a look at type, one of the most fascinating design topics. With conferences and blogs devoted to type, the subject continues to capture the attention of designers. Now there is a book that does the same. Type Index eschews the ponderous style found in other books in favor of a fresh, accessible approach. This is just the type of book designers have been waiting for!